The impact of cold temperatures and the prospect of even more snow were high on the news agenda of Monday's newspaper press in Finland. The tabloid Iltalehti today reminds readers that even the ancient Finns knew how to complain about the weather. Instead of fancy graphics and complex explanations, they attributed the weather to the work of supernatural spirits. "Puhuri" was the spirit of biting winds, of the cold and of winter. Today, the paper says, we are seeing "Puhuri weather". 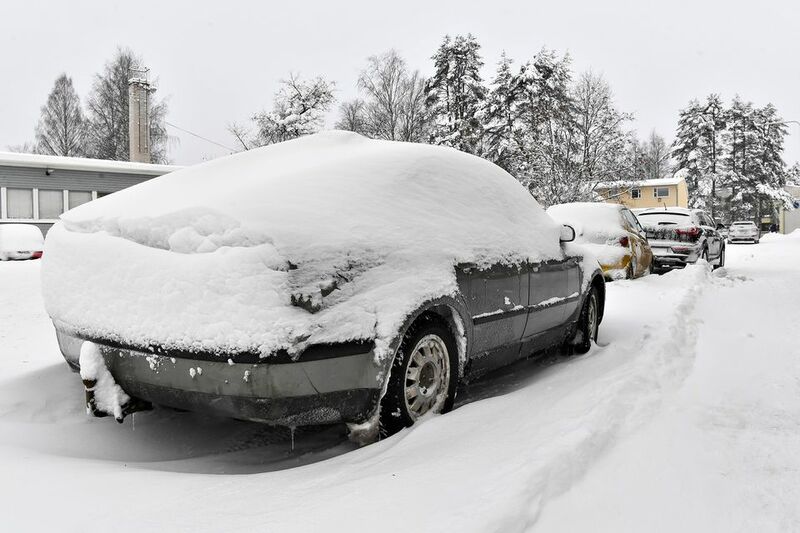 The Finnish Meteorological Institute has issued four different warnings. There is an extreme cold warning for the whole of the country. Most coastal areas have frozen sea warnings. There are high wind warnings in the Gulf of Finland, and a warning of hazardous driving conditions in the west and south, as well as very hazardous condition in the southwest. Tuesday may see "chaos" on the roads, writes Iltalehti, as a snow storm is expected to sweep across most of the country on Monday night and Tuesday. By Wednesday, southern areas are forecast to have 10-20cm of new snow accumulation, with winds piling up deep snow drifts. The paper notes that the Meteorological Institute is reminding drivers to keep a safe assured distance in traffic and to use their fog lights. It might be a good idea to delay any non-essential road travel until the weather improves. If that's not possible, Iltalehti advises packing extra warm clothes, food and drink while travelling. Above all, it writes, reserve lots of time to get wherever you are going. The Kuopio-based Savon Sanomat is among the papers today that carries an item about a survey that asked 13-15 year-old school children what they consider to be the most important social or political issues as Finland approaches elections to a new parliament. The poll, commissioned by the Finnish Newspapers Association, found that the biggest concern in this age group is climate and environmental protection. They say that this is what they hope that MPs and the government will focus on. They also want politicians to give more attention to developing schools and reducing social inequalities. The majority said that they would like to have a chance to influence these issues. The daily Helsingin Sanomat reports that researchers are surprised by how much the use of English has become a part of the daily life of Swedish-speaking teens in Finland. Quoting a study by the Magman think tank, the paper says that a quarter of teens whose mother tongue is Swedish use a significant amount of English regularly outside the home. Jenny Stenberg-Sirén, a researcher for Magman, told the Helsingin Sanomat that while there is regional variation, it was surprising that overall, Swedish-speaking teens use very little Finnish with friends, in their hobbies or at school. Online, the use of English is even more striking. Of the 800 teens interviewed, 47% said they primarily use English online, 40% Swedish and only 10% Finnish. "They live as Swedish speakers, even though there is lots of talk that Swedish-speaking Finns consistently speak Finnish, and that Swedish-language skills are on the decline," says Stenberg-Sirén. Asked whether or not many young Finnish and Swedish speakers use English together, rather than one of the national languages, Stenberg-Sirén point out that it probably depends a lot on where they live. "In the Helsinki region, people assume that Swedish-speakers also speak Finnish. But if someone does not speak it well, then what language do you choose to use?" The popularity of English among these teens may in part be explained by the feeling that one doesn't have to speak it as well as Finnish. It is "permissible" to pause or make mistakes. The same goes for Finnish-speakers who don't feel fully competent in Swedish. Using English, says Stenberg-Sirén, may be more relaxed on both sides. In 2015, Centrist Prime Minister Juha Sipilä made headlines here, and abroad, with an announcement that he would open his home in Kempele, just outside of Oulu, to a family of refugees. The offer was later withdrawn, on the advice of security officials. Oulu's Kaleva is one of the dailies that picked up fresh comments on the affair made by Sipilä in an Yle radio broadcast on Sunday. Sipilä said that the intention was that a family which had suffered persecution in their home country would have moved into the house. He described them as Christians from a majority Islamic country who had been persecuted for helping western development aid workers. He did not state what country. Arrangements for the family to move into Sipilä's house were never completed, as security officials felt that they would have faced a dangerously high level of hostility. "We could not have imagined that the atmosphere would have become so bad that a family with children who found asylum here would have to fear for their lives," Sipilä told reporters. "Fortunately, that family is now safe elsewhere." At the time, Sipilä's decision to take asylum seekers into his home aroused harsh criticism from anti-immigration quarters which claimed that the move would boost the number of people seeking asylum in Finland. There were also protests held near his house and incidents of rocks and fireworks thrown at local refugee centres. Prime Minister Sipilä has rejected all criticism of his decision at the time. On Sunday, he condemned criminal actions by some asylum seekers, but stated that he stands for the defense of human dignity and basic rights.